If you’re following my blog for quite some time now, you know that I’ve been suffering from break outs for the past few months now, which has left my skin very sore and sensitive (read: red). 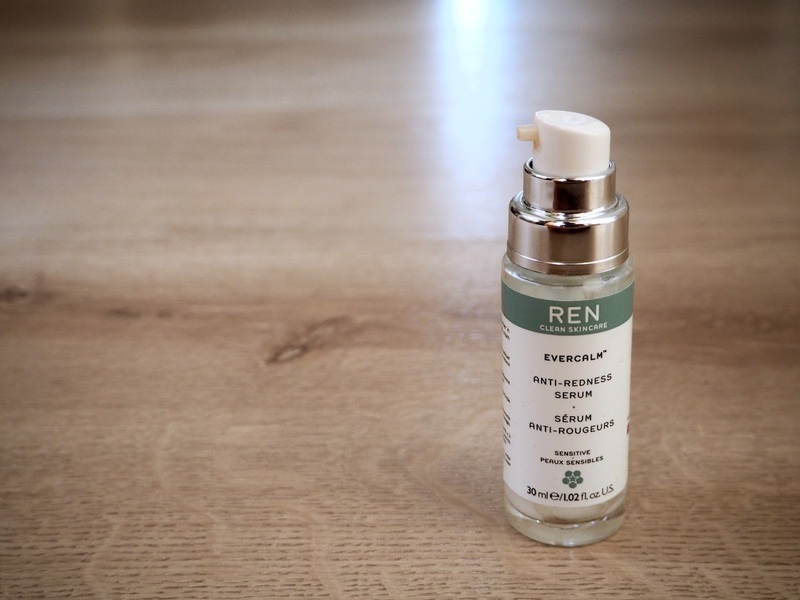 So when I was browsing the Net for something that could possibly make life easier, I bumped into the REN Evercalm Anti-Redness Serum. Something that would make the red blotches on my face appear less, well… red. Although it is named an anti-redness serum, besides that, it protects your skin from ageing through sensitivity. It also improves your skin tone, it reduces inflammation, redness, it strengthens the capillary walls, boosts hydration levels, reduces UV inflammation, and protect cells when used over a longer period of time. It’s a long list of promises, but not an empty one which is all that matters. Not to be confused with an anti-redness primer —this is not a cosmetic product, but a skincare product. What I’ve noticed is that unlike a primer, it doesn’t fade the redness immediately, but overtime and even overnight it calms my skin a lot, which we can credit to Milk Polypetide which is the ingredient that calms redness and inflammation by strengthening the skin’s lipid barrier and combined with Beta Glucan, it soothes the skin irritation as well. Overtime it should reduce redness and a certain protein from rice promotes natural skin repair and Tyronsinase helps to decongest the skin and reduce hyper pigmentation. I personally haven’t noticed any (major) fading of my hyper pigmentation just yet, but redness around my nose, brows or just random splotches have reduced significantly. This is most probably because of the hydration boost this serum gives, as it contains Hyaluronic Acid, which is an ingredient I seek for in my skincare. Buh-bye redness and hello plump and better skin! Do you suffer from redness?